iOS 9.3 Beta 5 and iOS 9.3 Public Beta 5 for iPhone, iPad, iPod touch is now available. The download is available over the air (OTA) for compatible devices. 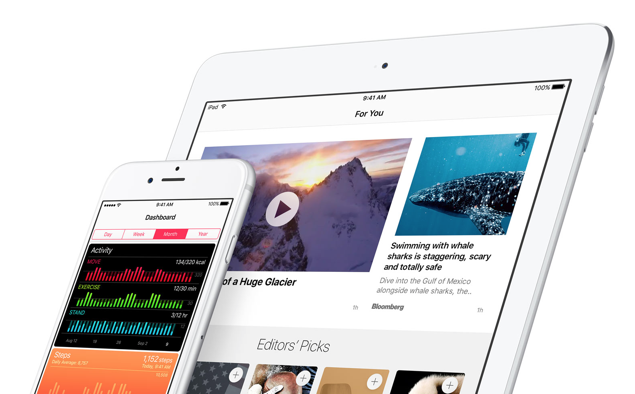 Rather than releasing its beta mobile software on a bi-weekly basis, Apple has decided to speed things up and has released the fifth beta and Public Beta of iOS 9.3 a week after when iOS 9.3 beta 4 was released. The update, as you’d except is available over the air (OTA), which means that you do not have to connect your device to your PC or Mac in order to install it. Simply launch the Settings app, navigate to General > Software Update and download the update right away onto your device. We also recommend that you plug your iPhone, iPad or iPod touch into a power outlet before going ahead with the installation process as you want everything to be finished off in the smoothest manner possible. For registered developers, iOS 9.3 beta 5 is available directly from the Apple Developer Program website for every compatible device, whereas the Public Beta 5 is only available to download over the air and is absolutely free for those who are willing to try it out. If you want to give iOS 9.3 Public Beta a shot on your iPhone, iPad or iPod touch, then simply launch Safari and point it to beta.apple.com. You’ll be required to download a beta profile after which you’ll receive iOS 9.3 Public Beta as an over the air download. If you’re an iPad Pro user, and also happen to be in the ownership of an Apple Pencil, then we highly recommend that you download iOS 9.3 beta 5 and Public Beta 5 right away. The reason being that the new update fixes broken Apple Pencil navigation functionality which was introduced in iOS 9.3 beta 3. Thankfully though, everything has been resolved and users can go about their business like a boss. On the face of things, it seems as though iOS 9.3 beta 5 is nothing more than a bug fix and performance enhancement release, which directly equates to the fact that you should download the update right away without giving it a second thought. If there are other changes in this release that are worth pointing out, then we will update this post accordingly. Till then, fire up the Settings up and let the download parse through. Be sure to let us know in the comments section what you think about today’s release.